Jim Nordgren is an environmental consultant living in South Salem, NY. As Lewisboro Town Supervisor he helped preserve nearly 1,000 acres of open space, strengthened water protection laws and helped create the four-town Eastern Westchester Biotic Corridor. He has also written natural resource inventories, management plans, baseline documentation reports and open space plans for the Westchester Land Trust, Open Space Institute, LandVest, Scenic Hudson, the Watershed Agricultural Council, North Salem Open Land Foundation, Pound Ridge Land Conservancy, Putnam County Land Trust, Hudson Highlands Land Trust, Oblong Land Conservancy, Weantinoge Heritage Land Trust, Somers Land Trust, Wilton Land Conservation Trust, Town of Lewisboro, Village of Mount Kisco, John Jay Homestead Historical Site, Castine Golf Club, Mariandale Conference Center, Trumbull Nature Center and for dozens of individual landowners. Jim has planned and supervised invasive removal and native plant restoration on 100 acres at 11 sites. He has written stormwater management plans and wetland and conservation overlay regulations for municipalities and drafted conservation easements for land trusts. Jim was a contributing author to the Westchester County Climate Action Plan Report and Riverkeepers’ ‘Save It! Strategies for Achieving Smart Growth in the Hudson River Valley’. 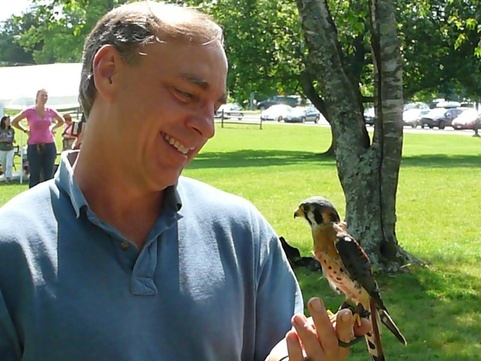 Jim also enjoys leading nature walks and workshops for local land trusts. Jim holds a Master Degree in Environmental Mangement from the Yale School of Forestry, an MBA from the Wharton School of Finance, and a BA from St. Lawrence University. He also holds a U.S. Fish & Wildlife license to possess raptors for educational purposes and is a Qualified Forester for the Watershed Agricultural Council.